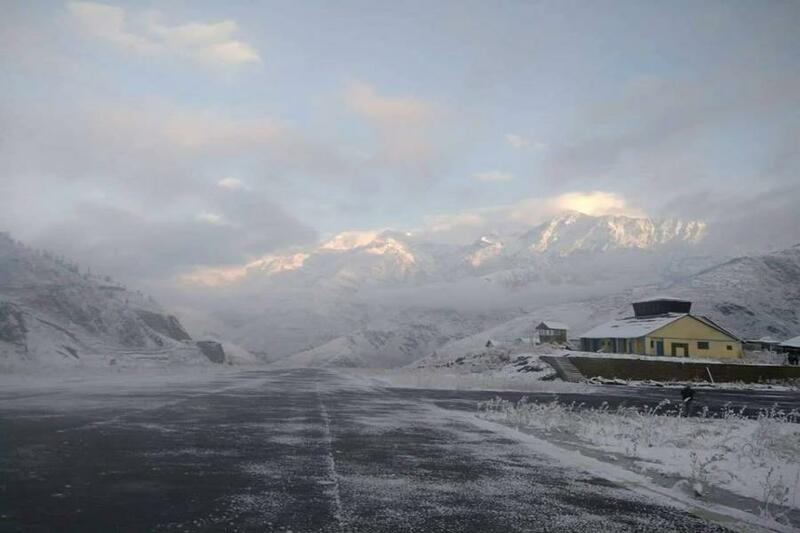 DOLPA, Feb 07 : The Jufal airport in the district had to be shut today due to snow accumulation on the airfield. Heavy snowfall that occurred in the upper reaches of the district since this morning has obstructed the regular flights to and from the airport. Thick snow that has piled up on the runway has obstructed the landing while extremely poor visibility has affected the flights to and from the airport, Bal Kumar Sharma Civil Aviation office Jufal chief said. There were slim chances of resuming the air services for few days. The snowfall and chilling cold have created difficulties to the locals. The same scenario has been seen in Jumla, Humla and Mugu districts as well. Along with it, the preparation classes being run for students appearing in the SEE exams have also been affected due to cold. The students are failing to attend the classes at school, said Deepak Parajuli, a teacher at Janaprabha secondary school Liku, headmaster.